REVEL is Pearson’s newest way of delivering our respected content. Fully digital and highly engaging, REVEL replaces the textbook and gives students everything they need for the course. Informed by extensive research on how people read, think, and learn, REVEL is an interactive learning environment that enables students to read, practice, and study in one continuous experience—for less than the cost of a traditional textbook. 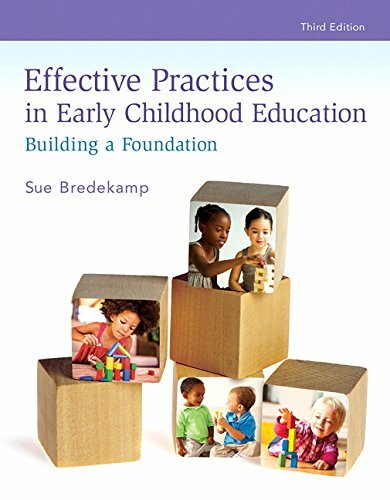 Early childhood authority, Sue Bredekamp, designed Effective Practices in Early Childhood Education: Building a Foundation to prepare a new generation of teachers who can make a difference in children’s lives and education. Written with a clear and engaging presentation, this intriguing text provides the building blocks for understanding developmentally appropriate, effective practices in early childhood education. Bredekamp shows how effective teaching practices can make a difference in the lives of young children by focusing on three key themes: intentional teaching, challenging and interesting curriculum, and evidence-based, effective practices. The Third Edition is updated with the latest research impacting policy and practice to help teachers thrive in the dynamic field of early education. NOTE: Before purchasing, check with your instructor to ensure you select the correct ISBN. Several versions of Pearson’s products exist for each title*, and registrations are not transferable. In addition to the access card included in this package, you will need a course invite link, provided by your instructor, to register for and use REVEL. * REVEL features such as embedded videos, exercises, and quizzes are only available in the REVEL format. They are not available in third-party eTexts or downloads.